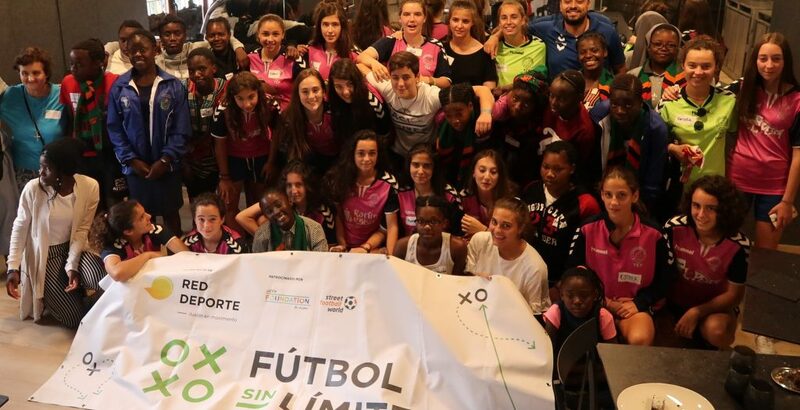 On June 30, the women’s team of Torrelodones CF played a very special match, along with the female team City Strikers, of the sports program of Red Deporte in Zambia, who will be visiting Spain during the month of July. The party has had the support of the Torrelodones City Council. After the dispute of the exciting encounter, won by the Torrelodones CF team, both teams shared a twinning meal at a local restaurant, and both teams could enjoy a delicious paella. Subsequently, the Torrelodones CF team donated sports equipment from the club to the Zambian program. We are set for new actions and with an excellent memory of this beautiful first day for City Strikers in Spain.